Some of the town’s lovely independents get a mention and although the feature is obviously a great big ad for iZettle, it is also a great big ad for Ventnor town and you can’t argue with that. 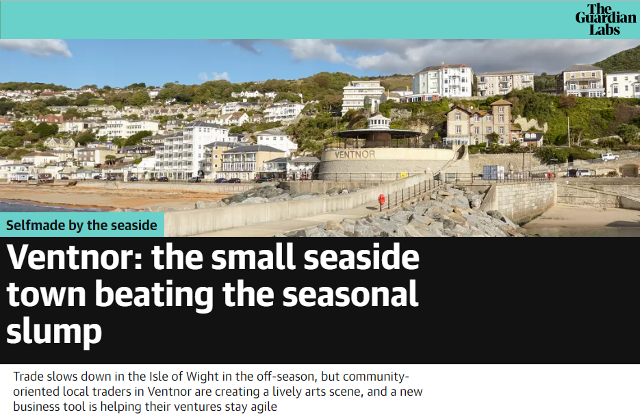 The town of Ventnor received a boost this week after a sponsored feature, paid for by iZettle, was published on the Website of The Guardian. The leading message from the feature was that Ventnor bucks the trend of an off-season slump thanks to community-oriented traders creating a lively arts scene and destination for those seeking independent retailers. Some of those highlighted in the report include independents such as the wonderful, award-winning Blue Labelle, which as well as stocking hand-made natural skincare products, also sports some fantastic products by Isle of Wight artisans, such as Wyatt & Jack bags and artwork by Tania Dixcey and Holly Maslen, among others. 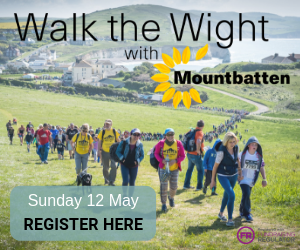 Others mentioned in the article include record store, bar and arts venue, the fantastic Ventnor Exchange, local bakery and cafe Cantina, as well as the newest Vegan restaurant, Pulse. The article also mentions Ventnor Fringe festival and the fantastic new three-storey high street art mural by world-renowned artist, Phlegm, created this summer. Dotted with fabulous photos by Isle of Wight photographer, Holly Jolliffe (her work is gorgeous and it’s well worth looking through her Instagram feed), although the article is obviously a great big ad for iZettle, it is also a great big ad for Ventnor town and you can’t argue with that.